The 2017 FFPC Main Event is well underway! 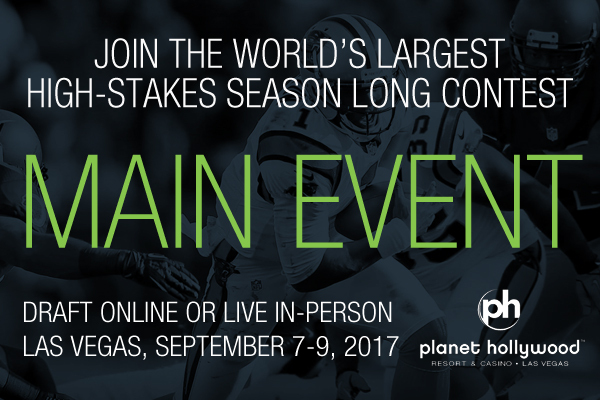 And if you want to draft live at the Planet Hollywood Resort and Casino in Las Vegas, then we are coming up on your last chance to enter. Drafting online? Spots are available TONIGHT and this weekend. Pick up an additional team for $1500 and register now! Remember players that LIVE Main Event spots are getting limited now. We only have one more official drawing for draft slots, and then we will begin to fill drafts as needed. Last year’s Main Event sold out early, and it appears that we are well on our way to another sellout this year. We may even have a couple of live spots left for people who are interested in jumping in at the last second at Planet Hollywood as well. In any event, don’t delay any longer or you may miss your chance! Fewer than 120 online teams remain in the Main Event! IMPORTANT: Draft times can and will close at any time. Also don’t forget that if you wanted to add another Main Event squad, you’ll get a hefty discount all the way down to $1500 online ($1625 live). That’s the lowest price we will offer this season and could be just the ticket to life-changing money before the end of the year! The 2017 Main Event prize structure is guaranteed regardless of the final amount of entries. After these leagues fill this weekend, we will only be taking wait listed teams for the final online Main Event draft time, and there is no guarantee that your league will fill after that. 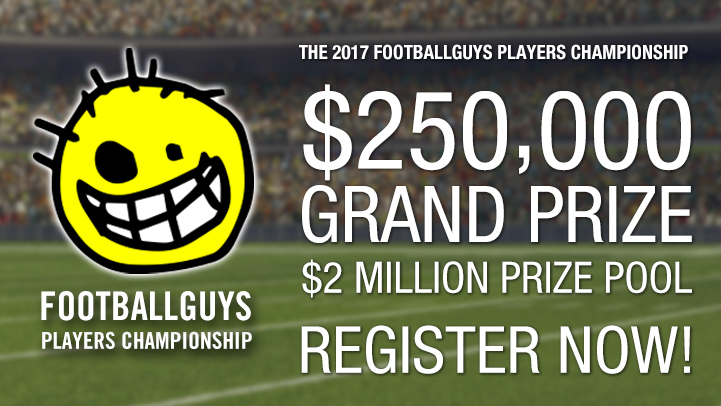 The 2017 FFPC Main Event rolls on TONIGHT! IMPORTANT HOTEL BOOKING INFORMATION: We once again have the services of our wonderful FFPC Live Event group host, Greg Sidoris who will help you with your stay and any other Vegas-related needs. Please contact Greg at (216) 299-5390 or (855) VIP-HOST if you prefer to make your reservation via phone. You can also email him at LVCH777@aol.com. Click Here To Join the 2017 Main Event! Championship round prizes paying down to 700th place. League prizes are $2,000 with $1,500 for first place and $500 for second. The contest is capped at 7,200 teams, and all prizes are guaranteed. The entire prize pool is escrowed for the ultimate in prize protection. Drafts run until just before kickoff on September 7th. $350 to enter. Buy a three-pack of teams for $1,000 (save $50). The FFPC and Footballguys will donate $50 for each draft that goes off this weekend to J.J. Watt’s Hurricane Harvey Relief Fund. Now you can enjoy a draft and help out a lot of people who need it at the same time. Register for the 2017 FPC Today! Thanks to Darren Armani from FantasyMojo.com (you know, the muscle behind the Pros Vs. Joes competition), you can now view the add/drop reports for FFPC leagues twice weekly. The link below is where you can check out Friday night’s report, the first run of the year for the FFPC. Thanks, Darren! Who knows, players? The Main Event champ might be drafting his squad today–will it be you? 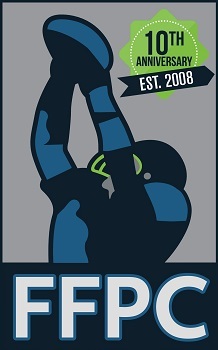 And the Footballguys Players Championship Draft-A-Thon is flying by fast as it moves to a second consecutive sellout. Don’t miss your chance, and I’ll see you in the draft rooms all day long today!